Nicole Anderson | Henry Industries Inc.
What Sets Henry Industries, Inc. Customer Service Apart From the Rest? Customer service at Henry Industries, Inc. starts in our very own Vision Statement: To provide the highest quality of service to our clients, through the continuous improvement of our commitment to clear communication, unparalleled customer service, fiscal responsibility, operational efficiency, and dedicated teamwork. The number one motto in-house is that customer service is our top priority. This is what distinguishes us from other courier companies. What exactly sets our customer service apart from the rest? Henry Industries, Inc.’s customer service team operates 24/7, 365 days a year. We are fully staffed at all times to take your call, and promptly address any concerns you may have. You will always be able to talk to someone “live” with our customer service team! One thing that our customer service team strongly believes in is being personable with our customers and business partners. It is a goal of ours to go out of our way to make a long-lasting connection with our customers, and to go above and beyond for them. The managers of our company play a huge role in doing this, as they are continuously very hands on with our customers and business partners. When severe weather is forecasted, our management team gets in early and stays late, so that we are continuing to exceed our customers’ needs. Our managers are in constant communication with our customers, ensuring that they will always have a positive experience with our company. Customer service is the heart of Henry Industries, Inc. Being a third party logistics and distribution solutions provider, winter weather can have a huge impact on our operations. Henry Industries, Inc. goes the extra mile to make sure everything is delivered to our customers, especially in adverse weather conditions! The first step in this process starts with our management team. HII has a designated manager consistently checking weather updates and sending alerts out to all managers 12 hours in advance. 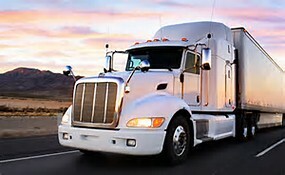 Communicating 12 hours ahead of time gives managers the opportunity to get plans in place to ensure our customers deliveries are delayed as little as possible. Once deliveries are in route our customer service team goes above and beyond to confirm everything is on track and will arrive to our customers safely. If there are delays, our customer service team makes certain this information is relayed to our customers to ensure there is 360 degrees of communication. Henry Industries, Inc. ALWAYS considers the safety of our customers freight and guarantees it will arrive even in the worse that Mother Nature can throw at us!